Studies by researchers at Uppsala University indicate that just one night of sleep loss can trigger tissue-specific epigenetic, gene expression, and metabolic changes that are associated with the loss of lean muscle mass and an increase in fat. The research, involving human volunteers who were allowed either a good night sleep or who were kept awake all night, hints at molecular mechanisms and disruption to the circadian clock that may underpin the previously identified link between chronic sleep loss, weight gain, metabolic syndrome, and type 2 diabetes. Loss of sleep in humans has previously been linked with weight gain and loss of lean muscle mass (catabolism), and with an increased risk for diabetes and metabolic syndrome, the authors noted. “Even minor weekly shifts in sleep timing, or as few as five consecutive nights of short sleep, have been associated with an increased risk of weight gain in healthy humans.” However, the underlying mechanisms aren’t well understood. To try and identify the genetic and molecular basis of these observations, the Uppsala University-led team investigated epigenetic, gene expression, and metabolic changes in subcutaneous adipose tissue and skeletal muscle taken from healthy volunteers either after a good night’s sleep, or after a night of being kept awake. “… as a model of shift work that often entails overnight wakefulness, we hypothesized that acute sleep loss (that is, overnight wakefulness) would induce tissue-specific alterations at the genomic and physiological levels in pathways regulating metabolic substrate utilization and anabolic versus catabolic state,” they wrote. Their analyses of adipose tissue in sleep-deprived individuals identified a number of differentially methylated regions (DMR)—either increased or decreased DNA methylation—in stretches of the genome that have been linked with altered lipid metabolism and DNA damage response pathways. Interestingly, one of the most hypermethylated DNA regions in adipose tissue of sleep-deprived participants was located near to the transcription start site (TSS) of a gene known as CD36, the expression of which is dysregulated in obese and type 2 diabetic patients. In contrast, there were no specific DMRs in skeletal muscle following sleep loss, when compared with the sleep-allowed participants. “This finding could indicate that other epigenetic modifications—that may also respond to environmental changes (for example, at the chromatin level) regulate the transcriptional response to sleep loss in skeletal muscle or, alternatively, that DNA methylation changes occur at, for example, earlier or later time points in our intervention,” the authors wrote. Further data from transcriptomic RNA sequencing of both adipose and skeletal muscle tissue showed that acute sleep loss changed the expression of 117 mRNA transcripts in skeletal muscle and 96 in subcutaneous adipose tissue. A comparison of the two tissue types indicated that many of the transcripts exhibited tissue-specific directionalities in response to sleep or no sleep. “In addition, almost no overlap was found between the two tissues for mRNA transcripts that were differentially expressed, further highlighting the tissue specificity of the response to acute sleep loss in human metabolic tissue,” the researchers note. Further gene set enrichment analysis (GSEA) of skeletal muscle and adipose tissue samples from the sleep-allowed and sleep-deprived participants highlighted tissue-specific changes in metabolic genes that are also altered in prediabetic and diabetic patients, and changes to the transcription of inflammatory genes and genes that impact on insulin signaling. Subsequent analysis of skeletal tissue samples using mass spectrometry indicated that acute sleep loss causes tissue-specific changes in cell respiration and anabolic/catabolic pathways, and there was a shift in glycolytic protein levels that correlated with altered systemic insulin sensitivity. The results from oral glucose tolerance tests (OGTT) showed that sleep-deprivation was associated with higher postprandial levels of glucose, but not insulin, and with 15% reduced insulin sensitivity. Mass spectrometry analyses also found decreased levels of structural proteins in skeletal muscle, providing molecular support for previous, more indirect evidence that sleep loss promotes enhanced skeletal muscle catabolism, the researchers point out. Similar analyses of adipose tissue samples indicated that metabolic pathways in subcutaneous fat are altered in opposite directions to those of skeletal muscle in response to sleep loss. “Our results indicate that sleep loss is associated with down-regulation of the glycolytic pathway in skeletal muscle, whereas this pathway instead is up-regulated in subcutaneous adipose tissue,” the team wrotes. The data collectively suggested that after just a single night of sleep loss, “subcutaneous adipose tissue exhibits a state promoting increased glucose utilization and triglyceride synthesis in the morning following sleep loss, whereas skeletal muscle concurrently decreases glucose utilization and promotes muscle protein breakdown.” These changes support earlier findings that lack of sleep prompts the body to retain adipose tissue over skeletal muscle. Interestingly, data from RNA sequencing and other studies indicated that acute sleep loss is associated with muscle-specific changes to the circadian clock, hinting at an involvement of circadian function to the dysregulation of glucose metabolism in skeletal muscle. These findings support data from the team’s previous studies that similarly indicated tissue-specific changes in DNA methylation and transcription that are indicative of “circadian misalignment” after just one night of sleep loss. The researchers acknowledge that their study involved just 15 healthy young males, and only evaluated the effects of a single night’s sleep loss. 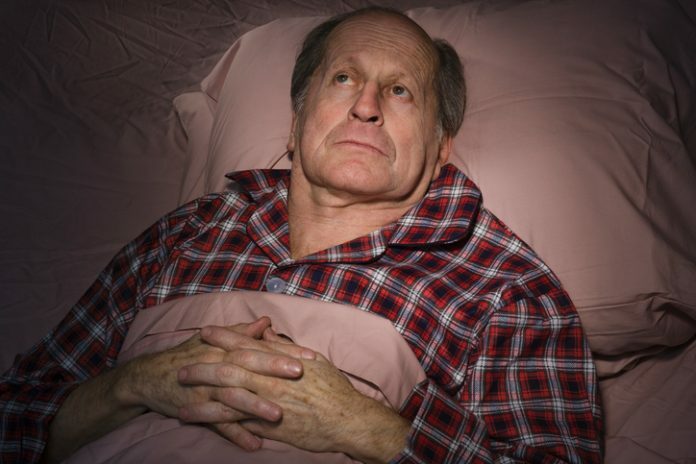 Further studies will be needed to see if the effects of short-term sleep loss are recapitulated after chronic sleep deprivation in more diverse groups of people including younger and older men and women of different ethnicities. Whether the effects can be reversed by better sleep also remains to be seen.